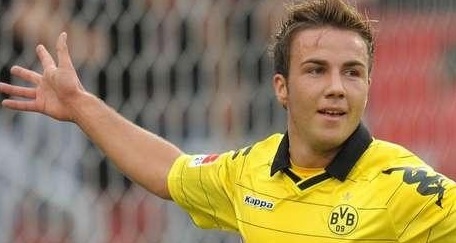 Chelsea are planning a summer swoop for Borussia Dortmund playmaker Mario Gotze according to reports. The 19-year-old German international has attracted interest from a host of top European clubs, with La Liga giants Real Madrid and Barcelona also believed to be monitoring his situation. With the backing of Blues owner Roman Abramovich, Andre Villas-Boas wants to rejuvenate an ageing Chelsea squad, and will be afforded the funds to do so more rigorously at the end of the season. Having identified Gotze as a primary Stamford Bridge target, the Portuguese tactician will now rival Barclays Premier League rivals Arsenal and Manchester United for his signature.